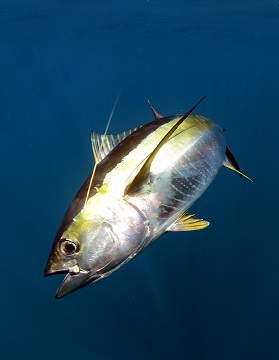 Yellowfin is often marketed as ahi, from the Hawaiian ʻahi, a name also used there for the closely related bigeye tuna. 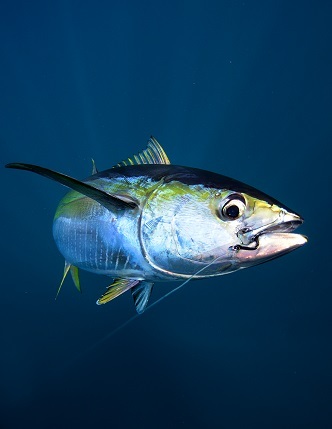 The species name, albacares ("white meat") can also lead to confusion: in English the albacore tuna (Thunnus alalunga) is a different species, while yellowfin is officially designated albacore in French and referred to as albacora by Portuguese fishermen. Below are selected images of Tuna. Any of these can be used on a custom shirt.